In a written statement, Knoblach called the allegations false and "indescribably hurtful." 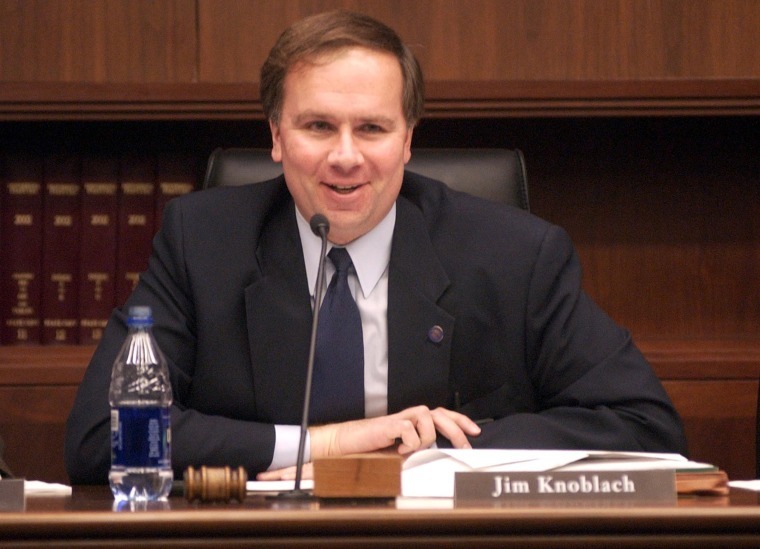 ST. PAUL, Minn. — Minnesota state Rep. Jim Knoblach abruptly ended his re-election campaign Friday amid allegations of inappropriate touching from his adult daughter. Shortly after her story was published, the University of Colorado Boulder alum posted the link on her personal Facebook with the caption, "My heart has never felt this heavy, but my shoulders have never been so light." NBC News reached out Jim Knoblach but did not receive an immediate reply. Laura Knoblach has not yet provided a comment to NBC News.